According to a recent survey by Poll Position, 43.3 percent of people believe divine intervention plays a role in Tim Tebow's success with the Denver Broncos. 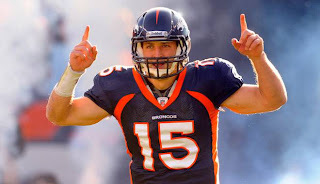 According to a telephone survey conducted Tuesday by the website Poll Position, 43.3 percent of people believe Tebow's accomplishments on the field can be attributed to divine intervention. The poll surveyed 1,056 people, and of the 756 who said they were familiar with Tebow, roughly 327 of them said they believe God plays a role in the second-year NFL quarterback's success. Hit the pavement at your pace with the Nike Free Run at Nike Factory Store. Shop the latest styles - nike free run 3.0/4.0/5.0 with free shipping over 4 items.